After solving the voodoo murder case in New Orleans, retrieving the Ritter talisman and uncle Wolfgang's death in Sins of the Fathers, Gabriel Knight, the last descendant of the Schattenjagers, moved to his castle, Schloss Ritter in Germany. His previous novel is a sales success, and now he tries to work on a new Blake Backlash mystery. One evening, as he desperately tries to find inspiration for a plot, a group of villagers come to the castle and ask for the Schattenjager's help. On a farm near Munich, a young girl was murdered by a wolf, the most recent in a series of killings since two wolves escaped from the nearby zoo. Despite newspapers and police blaming the zoo wolves, the villagers and parents of the child are convinced it is the work of a werewolf and ask Gabriel to hunt it down and kill it. Gabriel's investigation leads him from the local zoo to a prestigious hunt club and into the dark woods of Bavaria. Grace Nakamura, Gabriel's sidekick, insists on doing the research for the case and travels to Rittersberg. Though she is initially denied access to the Ritter library and people are reluctant to provide information about the case, her persistence eventually prevails. She discovers that it hasn't been the first time the Ritters have encountered a werewolf. A mysterious black wolf appears throughout her research, stretching back more than two centuries, including in the life of Ludwig II, king of Bavaria, who was a close friend to composer Richard Wagner. 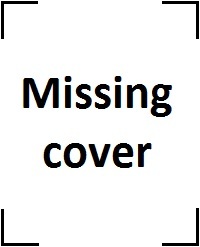 As both Gabriel and Grace do their own research, the current murders and Bavarian history blend together in a suspense thriller that will keep the player attached to his chair for many hours of game play. 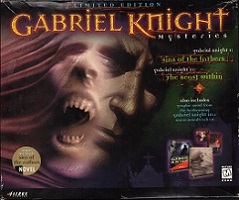 Unlike Sins of the Fathers, The Beast Within is entirely produced in full-motion video, featuring Dean Erickson as Gabriel Knight and Joanne Takahashi as Grace Nakamura, who in this game is a playable character, as well as many other talented actors. Filmed shortly after Phantasmagoria, the Sierra crew used their brand new blue-screen film studio. As in the first game of the series, this game is written and designed by Jane Jensen and the music composed by Robert Holmes, who also wrote an entire opera piece for the game's big final. 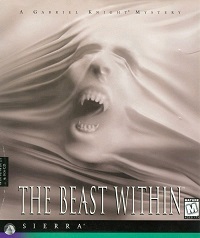 The Beast Within was named the best adventure game of 1995 by Computer Game Review.